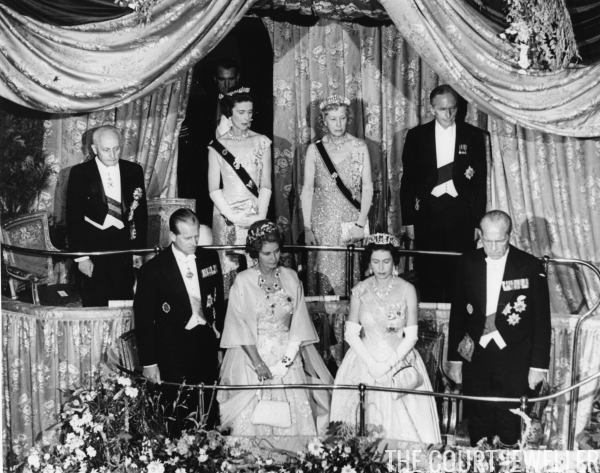 Today, our jewel time machine takes us to the 1963 state visit from Greece to the United Kingdom. As the video below shows, the visit was marked by vigorous public protests, but it also brought some major glitter. Have some fun tiara-spotting during the first half of this film clip. Which sparklers can you identify?